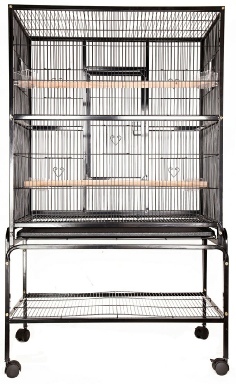 A great showcase for your birds! 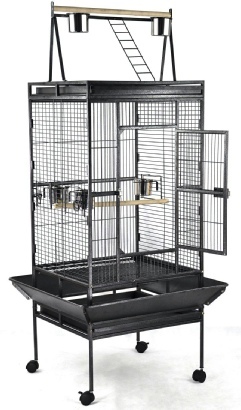 Large wrought iron flight cage for multiple small birds Two large hinged front access doors easily removable top and four feeding slide out cups. A Pull-out grille and debris tray for easy cleaning. 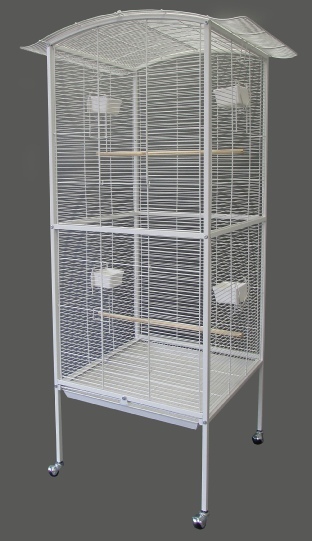 Cage can be easily moved as its equipped with easy rolling Heavy duty casters. 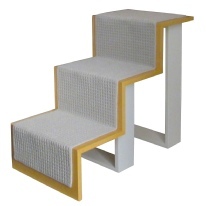 Comes with all accessories featured in the images above. 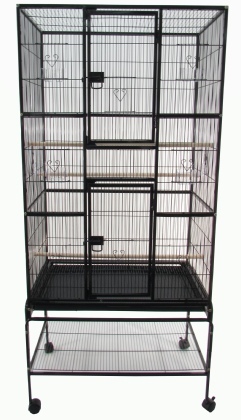 Ideal for canaries, parakeets and other small to medium size birds.